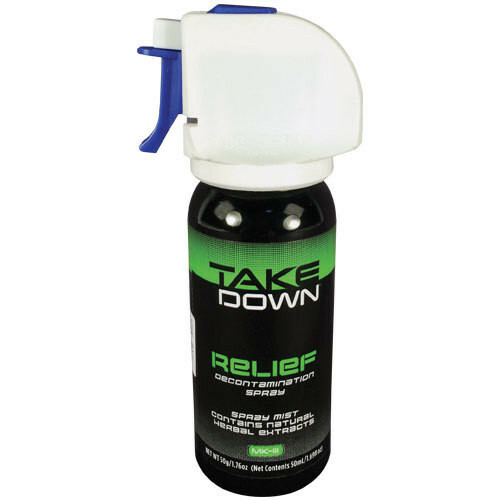 Mace Take Down OC Relief Decontamination Spray. This relief decontamination spray contains natural herbal extracts. Spray mist onto affected areas of the skin to dramatically reduce decontamination time.